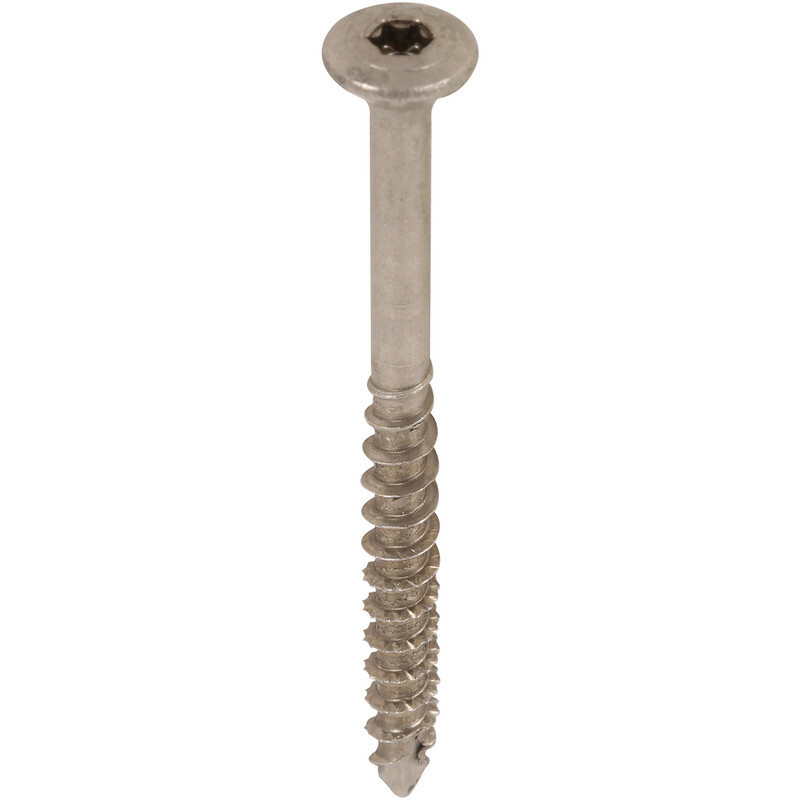 Corrosion protected screws suitable for wooden façade, board and batten cladding. Visible & non-visible connection. Raised countersunk head. Cut point ensures exact screw positioning, reduces splitting and reduces the screwing-in torque required. T-STAR plus bit recess gives a secure fit and better driving. No pre-drilling required.